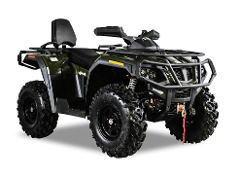 ATV Rental for Single Rider (450-570cc). These rates apply for 1 Machine rental for 1 person. Discounts apply for longer duration rentals. Click Book Now for further details. 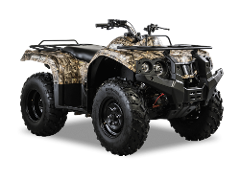 HiSUN Tactic 550 2-UP (or Equivalent) ATV Rental for Two Riders. These rates apply for 1 Machine rental for 2 people. Discounts apply for longer duration rentals. Click Book Now for further details. Side x Side (550-570cc) Rental for Two Riders. 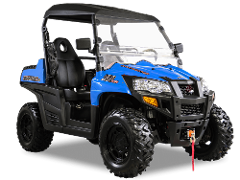 These rates apply for 1 Machine rental for up to 2 people. Discounts apply for longer duration rentals. Click Book Now for further details.